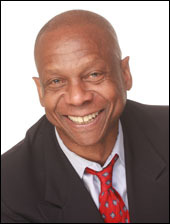 Batt Johnson is a communication consultant, media and speech coach, award-winning actor and veteran radio and TV broadcaster, who teaches the art of communication for public persuasion. His clients include MSNBC-TV, Financial Educators, Inc., the stars and All-Stars of the NBA (National Basketball Association), Genome Technology Magazine and the USTA (United States Tennis Association). Batt conveys skills to a host of clients, business professionals, authors, musicians, and professional athletes. They have learned from his many skills-the techniques that actors, broadcasters, politicians, and other public speakers use to deliver convincing messages. He has developed unique coaching techniques that heighten communication skills and teaches his clients how to deliver their messages effectively, persuasively, while gaining the competitive edge. He views the act of persuasion as a critical link to becoming a powerful public communicator. Batt is the author of Powerful Principles for Presenters, Rich and Famous in Thirty Seconds, What is This Thing Called Jazz?, and is currently writing Score! With The Media, a media training manual for professional athletes. Infomercial national and international host Synchronal Corp.
Batt earned his BA in social theory and media studies from Empire State College. He took courses at the New York Institute of Technology and New York University culminating in his MA in communications. He attended the Actors Playhouse, HB Studios, Weist-Barron School of Television, and the Bill Wade School of Radio and Television Broadcasting earning his first class FCC license.